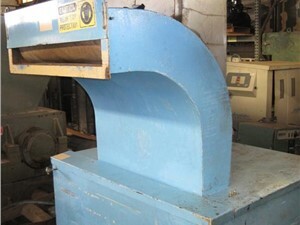 Pull Roll Granulators are used to automatically feed plastic sheet and trim scrap into a granulator for reprocessing. Entire rolls of imperfect product or the “skins” of products that have been stamped out can be automatically fed into pull roll granulators. The pull rolls pinch the product in between the rolls to provide a continuous feed.